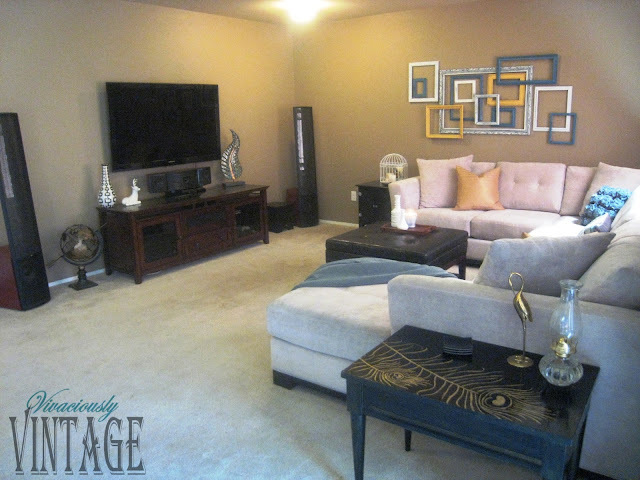 Ansley Designs: Living Room Changes Thanks to a New Sectional! Living Room Changes Thanks to a New Sectional! Ah men and their sectionals. I was perfectly happy with our living room. 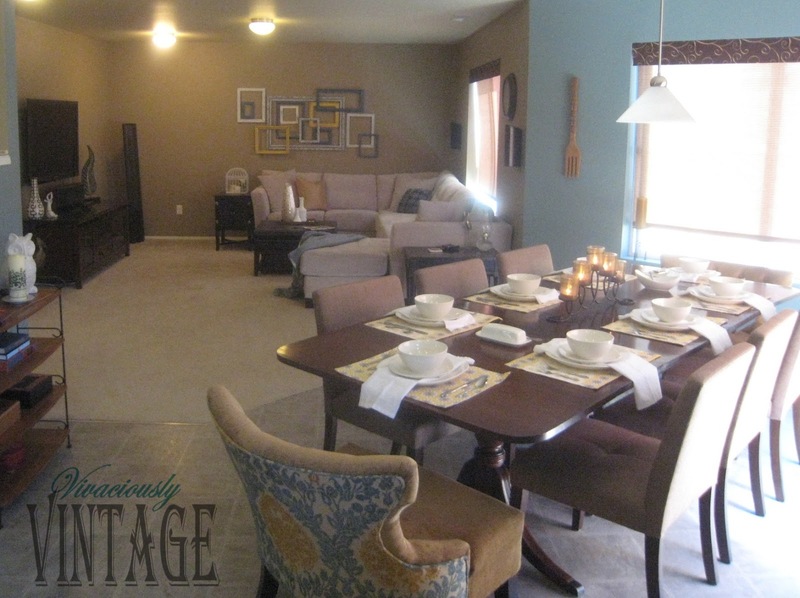 I loved the tufted couch, the damask back chairs, the coffee table that was almost an exact match to our entertainment center, you get the idea. I was happy with it, only wanting some minor changes like end tables and accessories. Hubba Hubba comes home from deployment, and hates the couch. It's uncomfortable, too small, etc. Granted it wasn't that great for snuggling, but hey it was pretty! That's what really matters, right? Since he normally just lets me handle the decor and was only asking for this one change for the sake of comfort, I was willing to keep him happy. So, I put my couch on Craigslist (I was lucky to only take $100 loss on her) and we went shopping. I envisioned a similar couch, only more comfortable, a bit larger, with a chaise on one side. He really wanted a chaise. There was only a 2 feet walkway to get into the sectional area! He's all "What's wrong with that?" Pft... Then I got to thinking. 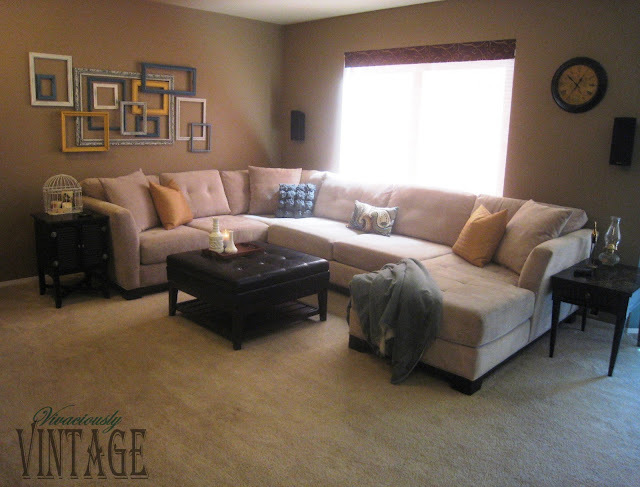 If we shifted the entire room to the left, then it wouldn't look so dominated by a sectional. So basically, move the television and its components onto the left wall where that picture gallery is. Boy, wanting a sectional is starting to get expensive. I think it cost $800 just to move that TV and rewire our surround sound to the other wall. I know, crazy. Hubba wanted a sectional bad enough to pay for the rewiring; so, we got a sectional. 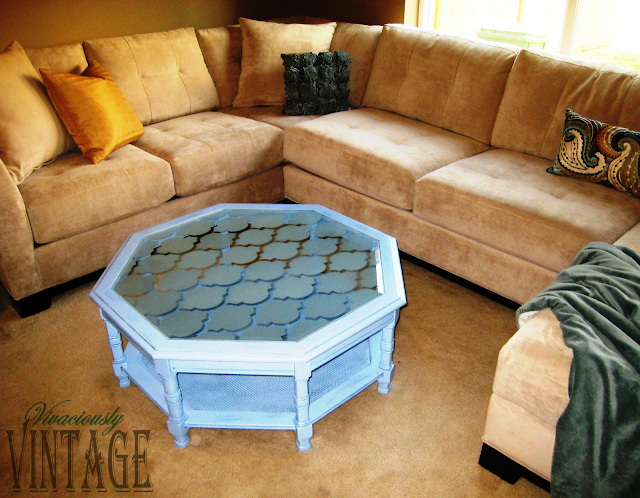 Next obstacle, our coffee table is too big to fit into the little opening of the sectional! For the longest it was just pushed all the way to one side so we had a little space to walk into for sitting down. Then I sold it, and we used this table. Check out that peacock table and layered frame art! It's working out pretty well. My beloved chairs are now perched in our office (except the photo below they were pulled out for extra seating), and I love snuggling with him on the chaise. I swear that's like the only part of the couch that gets used! The rest of the sofa is like uncharted territory! And I love how it has the same tufting as our new dining chairs! 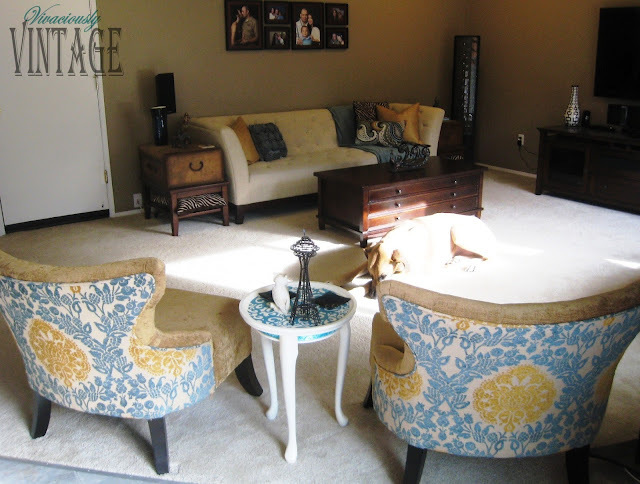 So far, I'm loving our blue - turquoise - teal - yellow - gold - neutral living room! Lol! Hope everyone else does, too!